Is é ár mian sa chleachtas fiaclóireachta seo sláinte fiacla a chur chun cinn agus aoibh álainn a chur ar d’éadan. Cuirimid réimse iomlán de chóireálacha fiacla ar fáil. Ina measc sin, tá cóireálacha coisctheacha, ginearálta agus aeistéitic éadain (Botox, Azzulure) & ortódóntaic dofheicthe ar phraghsanna réasúnacha. Cuirimid cóireáil ar fáil do dhaoine fásta agus do pháistí chomh maith le hothair phríobháideacha agus iad siúd a bhfuil cártaí leighis acu sa chleachtas nua-aimseartha atá againn. Tá ár gcuid táillí iomaíoch, agus cuirimid cóireáil agus seirbhís den scoth ar fáil chomh maith le luach ar airgead. Má tá ÁSPC á íoc agat, nó má tá tú féinfhostaithe, is féidir linn a fháil amach an bhfuil tú i dteideal Scrúdú Fiacla agus Scim agus Snas a bheith agat ar €15. Is féidir linn bunachar sonraí nua ar líne a úsáid chun é sin a sheiceáil duit agus cabhrú leat chun éileamh a dhéanamh ar do shochar ar líne. Ciallaíonn sé sin nach gcuirfidh tú am amú ag plé le páipéarachas. 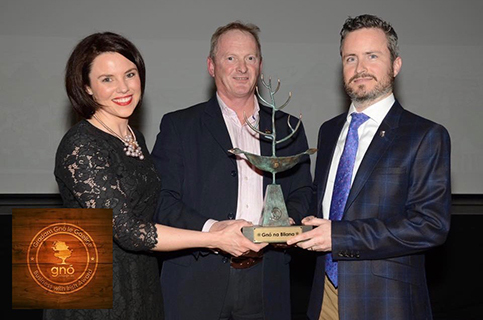 Tá an Dr O’Beirne sároilte chun an imní a bhaineann le cuairt ar an bhfiaclóir a mhaolú agus úsáideann sé na hábhair agus an teicneolaíocht is nua-aimseartha chun cóireáil ar ardchaighdeán nach bhfuil aon phian ag baint léi a chur ar fáil duit. Baintear feidhm as x-ghathanna digiteacha, fótagrafaíocht dhigiteach inbhéil, taifid othar ríomhairithe, Uathchláibh Mocom, scim Ultrasonach agus aershnasú inár lialann. Tá Lialann Fiaclóra Bhaile an Róba ríomhairithe go hiomlán. Bainimid feidhm as na teicneolaíochtaí is déanaí. Ina measc sin tá bunachar sonraí othar ríomhairithe, radagrafaíocht dhigiteach ríomhairithe (X-Ghathanna), aershnasairí, doirníní Ti-Max LED (druilirí fíorchiúine), uirlisí scime Ultrasonacha Cavitron agus ceamaraí inbhéil ríomhairithe. Ceamara an-bheag go deo is ea ceamara inbhéil. Níl ann ach méid cúpla milliméadar agus úsáidtear é chun pictiúir chruinne a thógáil de d’fhiacla agus de do dhrandal. Cuidíonn sé le diagnóis a dhéanamh agus ceadaíonn sé dúinn íomhánna soiléire a thaifeadadh ar féidir iad a thaispeáint duitse. Is féidir na híomhánna a shábháil ar thaifid an othair nó is féidir iad a phriontáil duit féin, do speisialtóirí eile agus do shaotharlanna déadacha. Cuireann Lialann Fiaclóra Bhaile an Róba támhú le hocsaíd nítriúil ar fáil d’othair atá míshocair, rud a chinntíonn arís eile go mbeidh do chóireáil fiacla compordach agus nach mbeidh aon strus ag baint léi. Tá Teilifís Chliste LED le cluasáin gan sreang ar fáil sa lialann chun gur féidir le hothair féachaint ar na cláir agus ar na scannáin is rogha leo agus ar an gcaoi sin a bheith níos compordaí fad a chuirimidne an cúram fiacla ar fáil. Táimid tar éis O.P.G. Lánléargais Sirona XG, atá ullamh do 3D le Ceifealaimhéadracht, a chur isteach. Is é sin an trealamh íomháithe déidliachta is sofaisticiúla atá ar fáil aon áit sa domhan. Is áis iontach den chineál is nua-aimseartha ar fad atá ann. Bainfidh sibhse, ár n-othair, an-leas as an ardteicneolaíocht nua-aimseartha seo. Ceadóidh an teicneolaíocht seo dúinn cúram níos fearr fós a chur ar fáil dár gcuid othar. Chomh maith leis sin, beidh siad níos compordaí, beifear in ann cóireálacha fiaclóireachta níos casta a chur ar fáil amhail, Cóireálacha Aeistéitiúla Éadain, Ortódóntaic agus Ionchlannáin Fiacla. Tugann sí cabhair don fhiaclóir chun Lobhadh na bhFiacla, Galar Pearódóntach, Fiacla agus Cnámha briste san éadan, sa chloigeann agus sa mhuineál, easpa dhéadach, fiacla nár Cuireadh / Comhdhingthe, Ailse cloiginn agus muiníl a bhrath. Coinnítear súil ghéar ar nochtadh ár n-othar agus ár bhfoirne don radaíocht tríd an tseirbhís ríomhairithe dáileogmhéadrachta “Instadose”, atá á sholáthar ag Córais Íomháithe Medray. Hi, I'm a Dental Hygienist, My name is Éilish. 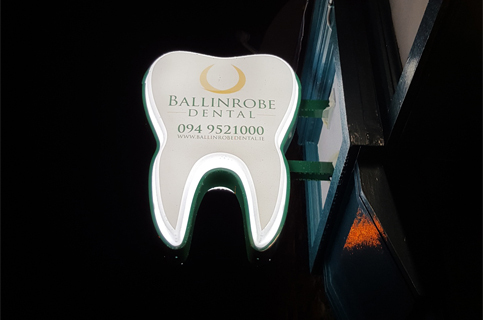 I previously worked on Saturdays at Ballinrobe Dental. I qualified with a BSc on Oral Health Sciences from the University of Dundee,Scotland in 2008 & have worked in various clinical settings since then and also have a vast amount of experience in teaching undergraduate dental hygienists. I am delighted to now join the team on a full-time capacity from the 29th of April 2019. 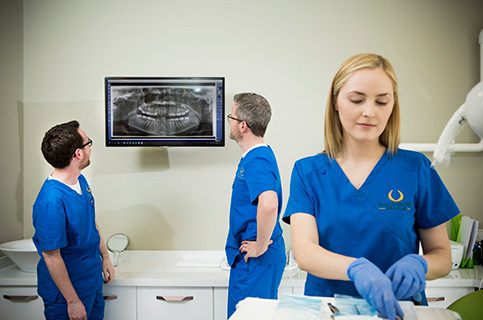 I will have my own surgery equipped with the latest dental technology, working alongside dentists Conor and Patrick. I am dedicated to helping you prevent dental issues, treat gum/periodontal disease, children and adults, dietary advice, fissure seals etc. Cosmetics including air polishing which help you prevent dental problems and maintain your beautiful natural smile. 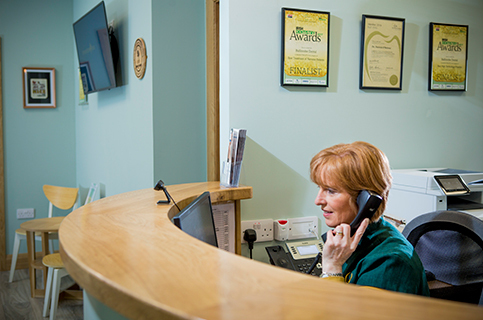 The winner of our recent competition for a complimentary check up & hygiene visit is Margaret Griffey. Well done Margaret. 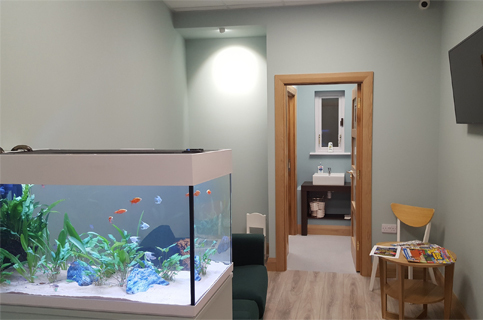 Please contact Nora on 0949521000 to arrange an appointment. Thanks to everyone who entered. Please keep an eye out on our Facebook page for future offers and competitions. 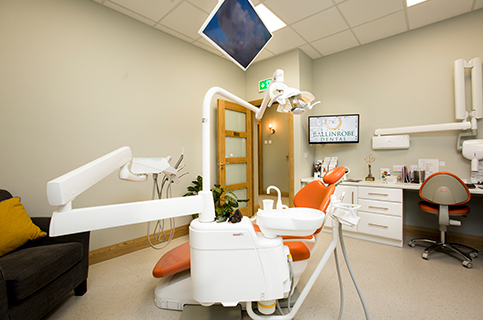 To celebrate the arrival of Spring, Ballinrobe Dental is giving you the chance to win a complimentary dental check-up with one of our dentists & a scale & polish with our hygienist. 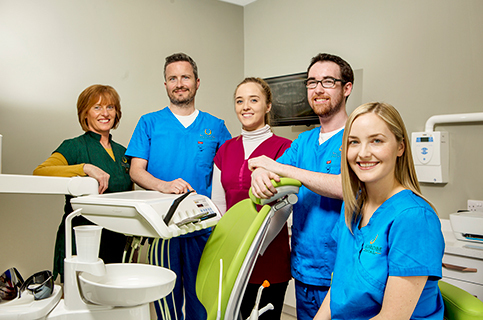 Spring-clean your smile at Ballinrobe Dental. It's time for a fresh start. Smoking is linked to many dental diseases including Oral Cancer. Our tooth fairy Tricia Kay visited a play school & primary school earlier this week to speak to the children about good oral health. Our tooth fairy programme includes goody bags for all children & they are sponsored by our colleagues at DeCare Dental. We check your gum health - Growing research is continuing to find that gum disease is linked to your overall general health. 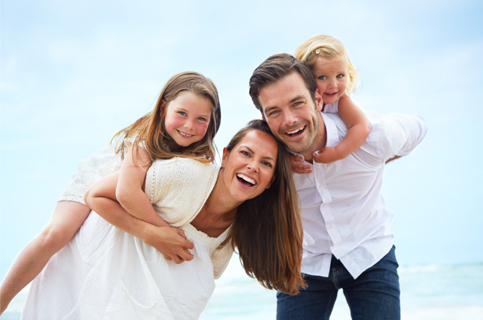 The earlier gum disease is detected and treated, the more successful the outcome. Dental check-ups: What are we checking for? Q. 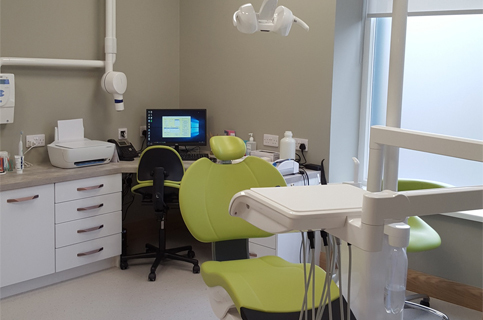 Is visiting the dentist just about how clean your teeth are? Is féidir páirceáil ar an tsráid taobh amuigh den lialann. Chomh maith leis sin, tá carrchlós mór suite 20 méadar ón lialann. Is cúis bhróid dúinn gur cleachtas ar urlár na talún í Lialann Fiaclóra Bhaile an Róba agus go bhfuil sí áisiúil do dhaoine faoi mhíchumas. Tá sé mar pholasaí ag an gcleachtas go ndéanfar an íocaíocht ag deireadh na coinne. Teastaíonn éarlais 50% sula dtosófar ar dhéidliacht chasta e.g. Coróin & Obair Dhroichid, Cíora Fiacla etc. Glacaimid le cártaí leighis anseo ag Lialann Fiaclóra Bhaile an Róba. © Lialann Fiaclóra Bhaile an Róba 2014. All rights reserved.